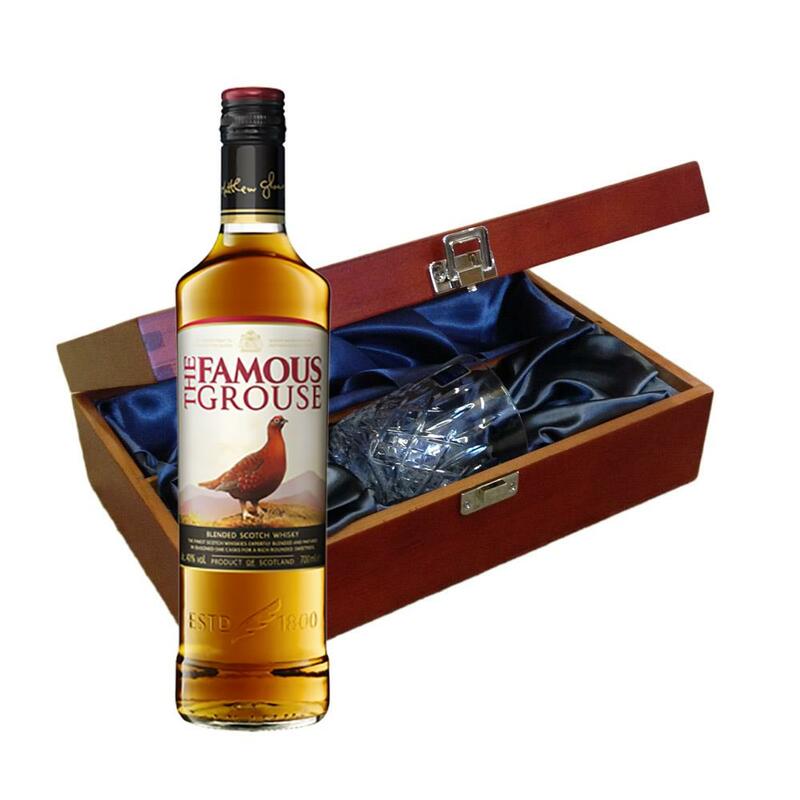 Send a bottle of The Famous Grouse 70cl wine in a lovely box beautifully stained featuring traditional joins with hinged lid and clasp fastening. Along with a beautiful hand cut lead crystal Royal Scot glass. All gifts come with a gift card with a message of your choice. The Famous Grouse - First produced in 1860 (when it was just The Grouse) The Famous Grouse Finest Scotch Whisky is the No.1 selling Scotch in Scotland. Classic smooth and a famously popular choice. Full-golden clear and bright with a full aroma well-balanced oak with a hint of citrus orange. This product is hand packed onsite by Gifts International, and is not affiliated with any other brand. Gifts International is responsible for this product combination/set.